On to the process. It’s really straightforward: make a sponge (mix water with some of the yeast and flour). 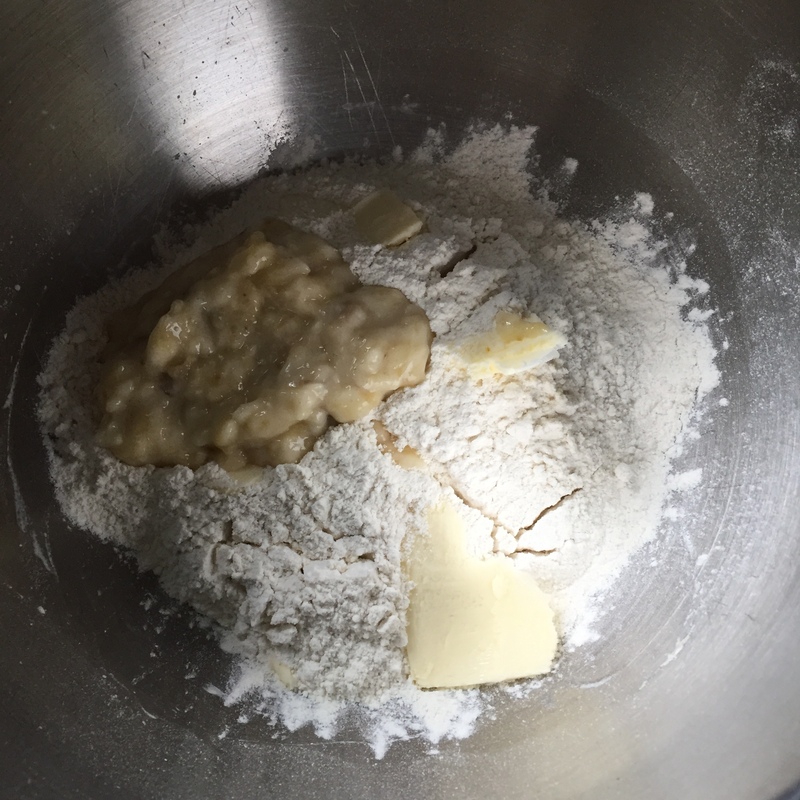 Mix the rest of the flour and dry ingredients together, and sprinkle it over the wet mixture. I then add the butter so that it can soften while the sponge is doing its flavour thing. Cover the bowl, let it sit for an hour or more, then add mashed banana, and mix it up. Let it rest for 20 minutes after initial mixing, then knead until smooth. 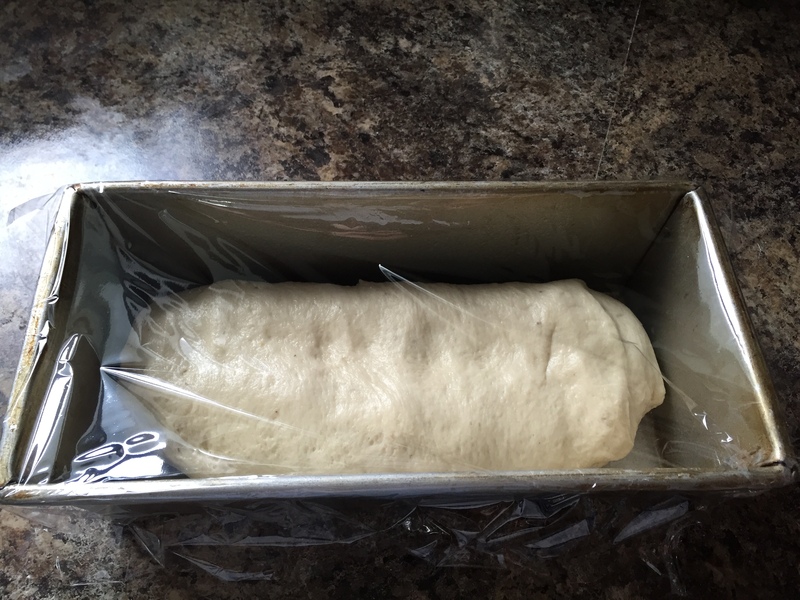 Let it rise, then shape it into a loaf. Let that rise, then bake. Consume! This is good with peanut butter, particularly if you’re a peanut butter & banana sandwich type of girl. Or boy, I suppose. It doesn’t really have a strong banana flavour, in my opinion, but a subtle one, and a little bit of sweetness like I mentioned at the top of this post. I’m not really sure what to do with the rest of the loaf. I’m thinking slice & freeze, and take a slice out when I want a snack that isn’t ice cream. On that basis, it may take a while to consume. 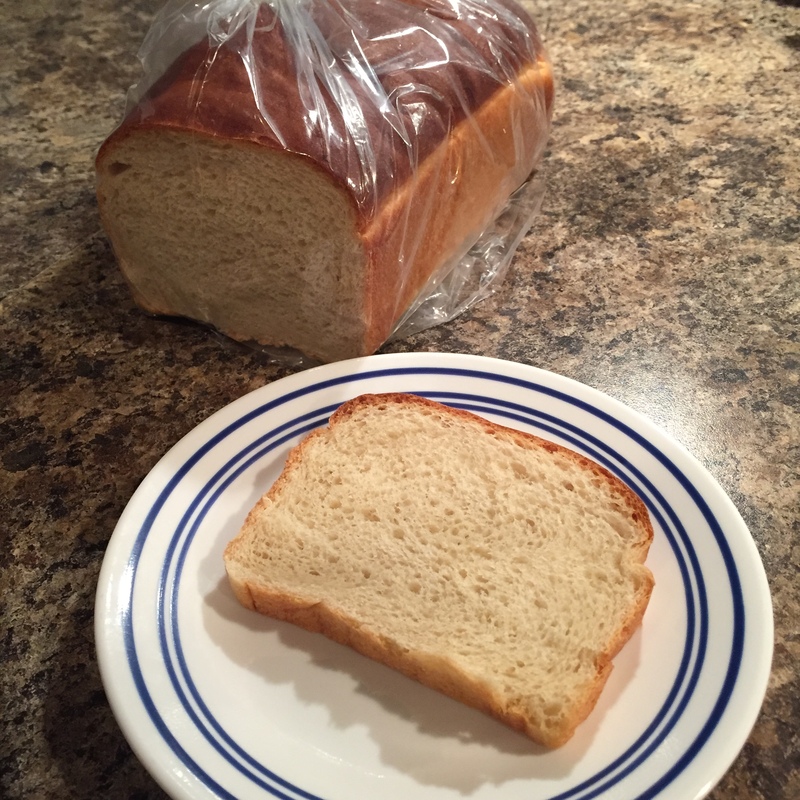 Posted on October 7, 2015 by KristinaPosted in The Bread BibleTagged banana, bread. Look how pretty it turned out! My daughter suggested this bread would make excellent bread pudding. I’ve made French toast with it twice, adding orange oil to the milk mixture and it is incredible with fresh strawberries. We ran out of regular bread and had grilled cheese with this stuff, tonight. Worked out quite well, I think! Jay said it had a good texture. I wouldn’t have made it either but I would definitely make it again as a special holiday breakfast treat. Your loaf looks very nice.